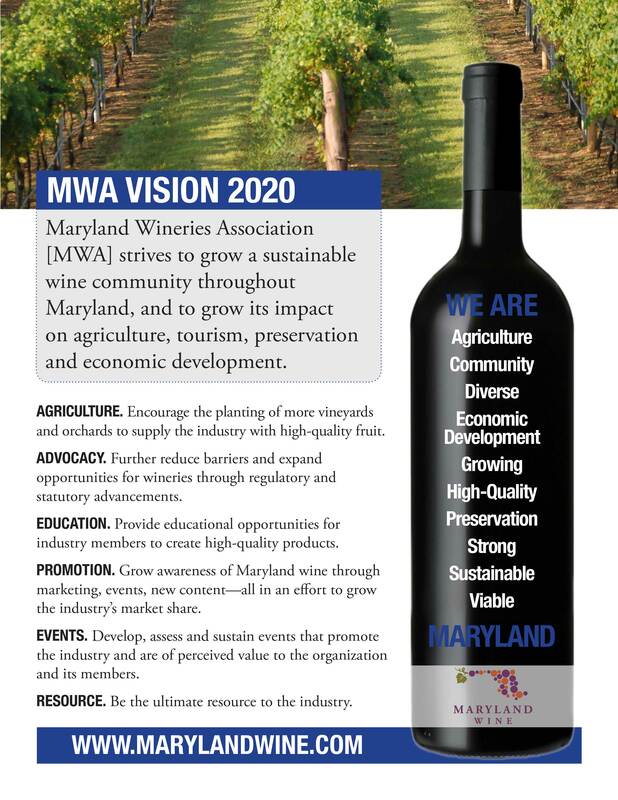 Maryland Wineries Association [MWA] strives to grow a sustainable wine community throughout Maryland, and to grow its impact on agriculture, tourism, preservation and economic development. Agriculture. Encourage the planting of more vineyards and orchards to supply the industry with high-quality fruit. Advocacy. 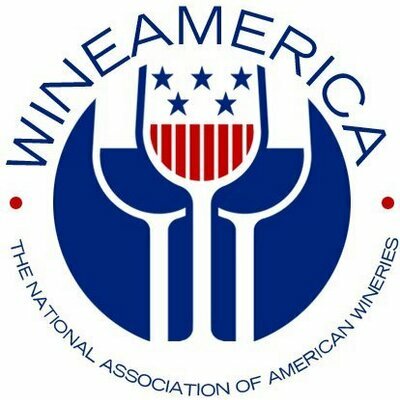 Further reduce barriers and expand opportunities for wineries through regulatory and statutory advancements. Education. Provide educational opportunities for industry members to create high-quality products. Promotion. 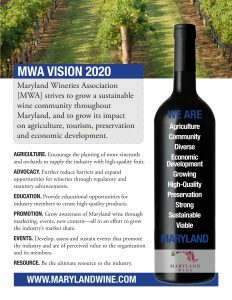 Grow awareness of Maryland wine through marketing, events, new content—all in an effort to grow the industry’s market share. Events. Develop, assess and sustain events that promote the industry and are of perceived value to the organization and its members. Resource. Be the ultimate resource to the industry.